I thought I'd kick off by telling you that SockMine sent me these socks free and I agreed to review them but said I'd be toe-tally honest about what I thought about them. 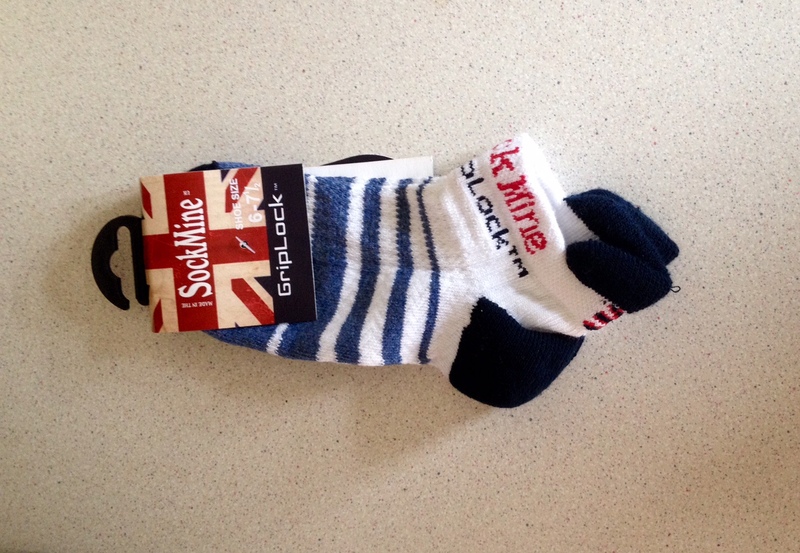 The GripLock socks are designed to grip your feet and reduce friction and therefore blisters. I liked the idea of no blisters but was dubious about whether these actually worked. 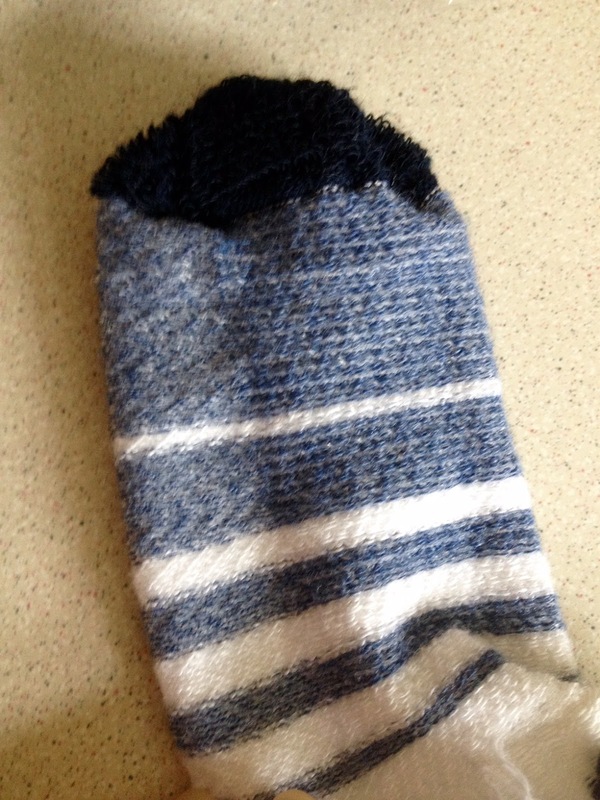 Surely there is always going to be some friction between foot and sock? When they arrived I was even less sure. The usual no-blister socks have 2 layers to allow for the movement of fabric and to take the friction away from the skin whereas these socks use rubber to keep the sock in place which you can feel with your fingers. I was positive these couldn't feel nice on and even less positive that they'd stop blisters. However, I was pleasantly surprised. You can't feel the rubber at all when the socks are on your feet, in fact they feel soft and fluffy and they have a padded heel and toe to make them even more comfortable. They even look nice. Now looks aren’t really at the top of my list when I’m buying sports socks (Have you SEEN my pink compression socks?) but these look nice. I was a bit concerned about the low rise profile as I typically lose socks whenever I wear boots (and find them bunched up around my toes) but they didn’t shift at all. Inside out - can you see the rubber rings? 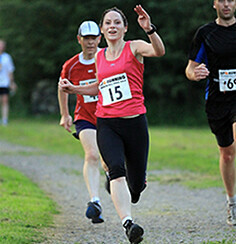 An aquathlon. Straight from the lake, out of the wetsuit, socks onto wet feet and off. They were perfect. No blisters, no bunching, no problems. They take slightly more time to get on than a normal sock as they’re closer fitting but for me it was worth the extra couple of seconds (and it really is no more than that). In fact, I found them so good I used them for my A race of the year (Vitruvian Middle Distance triathlon) and for Bala Triathlon. No problems either of those times and I used the same pair for the bike and for the run. Sock preference is very personal to the individual but I can wholeheartedly recommend these, especially if you suffer with blisters. And even if you don’t. 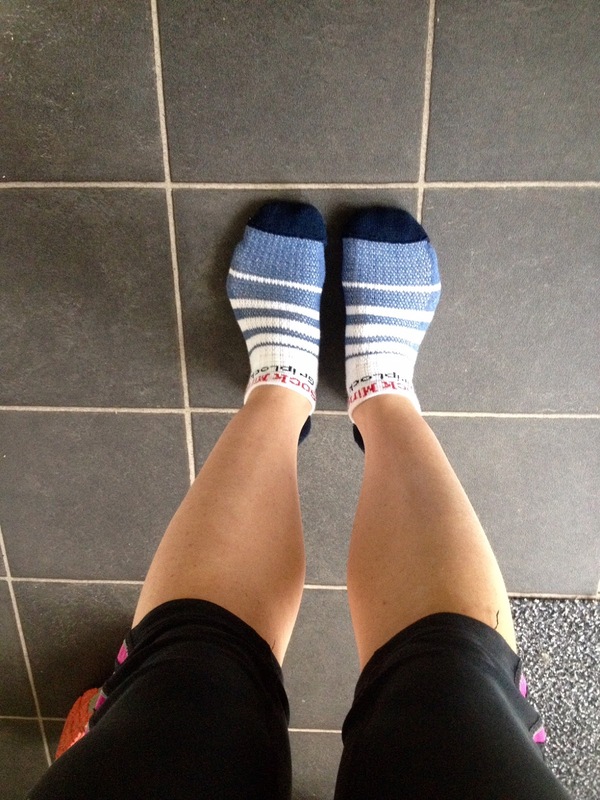 They’re comfy, have been hardwearing and for £12 they’re a mid price for a decent running sock. Very comfortable. They feel soft and fluffy and you can't feel the rubber grip when they're on - you only notice they don't shift. They look nice. I don’t tend to buy my socks because of how they look, it’s all about how they perform, but they aren't eyeball offending. They’d also be fine unisex. These have a low rise profile (there is a longer version available) but this wasn't a problem as they didn't fall down. Even with wet feet they don't shift around. Good after triathlon transitions. Absolutely no blisters or marks on my feet at all after using these. Washed and worn 8 or 9 times. Still feel fluffy and the washing doesn't appear to have affected the grip (although it's recommended you wash them at 30 degrees without fabric conditioner. They appear to dry out quickly which is good. The rubber really is just rings around the interior of the sock so no concerns about breathability. 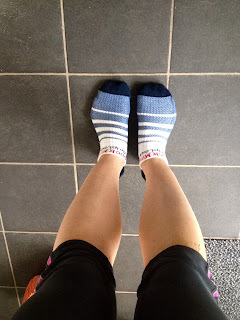 They take slightly onger to put on than a normal sock which might be an issue in transition if you're using them for triathlon (but I found a couple of extra seconds for no blisters worth the compromise). Probably wouldn’t stop impact blisters (for instance in an ultra where your toe would hit the end of the shoe) or for problems caused by poorly fitting shoes. But that isn’t a sock issue. I'll be stocking up on these. If you'd like your own pair you can get them here on the SockMine website.